Carly&apos;s thankful to have Sonny home safe and sound. He explains to her that Carlos is in custody, but admits that he wanted to kill him. He stopped because Anna and Carly asked him not to use violence anymore. Lulu hears Nikolas tell Laura that he signed the shares of ELQ over to Jason instead of Hayden. Lulu figures out that Hayden has something on Nikolas and asks what it is. She wants Dante to arrest Hayden, but Nikolas warns her that people they love will go to prison. Laura decides to meet with a cryptographer to help her decipher the book. It turns out that Kevin is the cryptographer. Kevin wonders if Helena is manipulating Laura from the grave, but Laura wants to know where the book will lead her. Finn&apos;s happy with Tracy&apos;s progress. She wonders when she can be released. Finn asks her about her future plans. Tracy mentions that she lost her family company, but that she&apos;ll get it back. Finn leaves to go shoot up again. Jason and Sam round up the Qs in Tracy&apos;s room. They tell the family that he&apos;s the new owner of the ELQ shares. Jason explains he bought them from Nikolas, and thanks to Diane, the shares are back to Edward&apos;s original instructions. Tracy asks if Jason is planning on running the company. He tells the family that he has decided to put Michael in charge of ELQ. Both Michael and Monica are thrilled that the company is back in Quartermaine hands. Tracy thanks Jason. She explains that although he hurt Edward when he renounced the Quartermaine family, his grandfather would be proud of him now. Lulu tells Dante that Hayden is really Rachel. She wants to know if he can have her arrested for coercing Nikolas. Dante points out that Nikolas took Jason&apos;s deal, so there is no crime within his jurisdiction. Dante wonders who Nikolas was referring to when he said people they love will go to prison. Michael meets with Sonny and Carly, and lets them know what Jason did for ELQ. Michael is happy for the Quartermaines, but promises his parents that he knows he&apos;s a Corinthos, and that he can be part of both families. Sonny tells Michael that he found Carlos, but that Sabrina and the baby were not there. 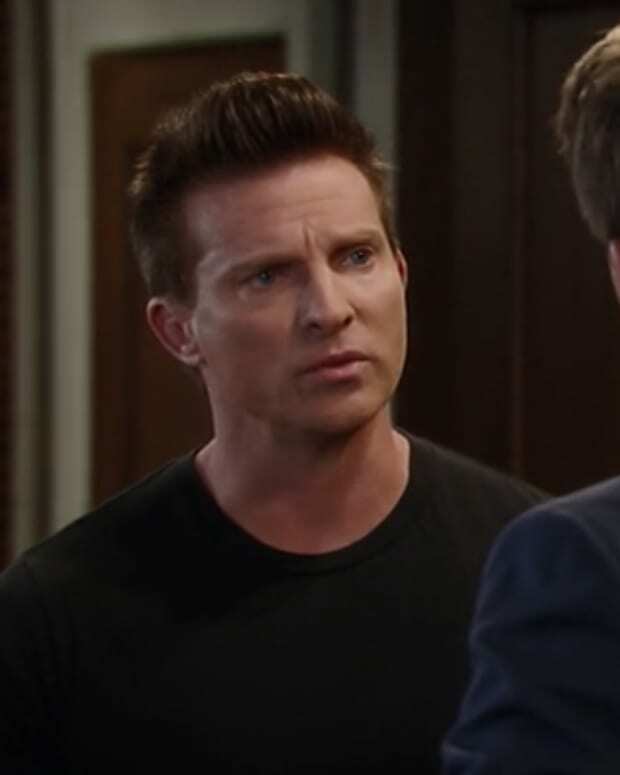 Sonny wants him to let Sabrina go, but Michael says he can&apos;t walk away. Liesl complains to Monica that Finn missed a lecture about Tracy&apos;s case and she doesn&apos;t want him on the hospital staff any longer. Carly is informed by her staff that Finn isn&apos;t answering his wake up calls. She goes to check on him and finds him passed out from an overdose.